First blog post of 2018 and I am starting the year with a skincare chat. 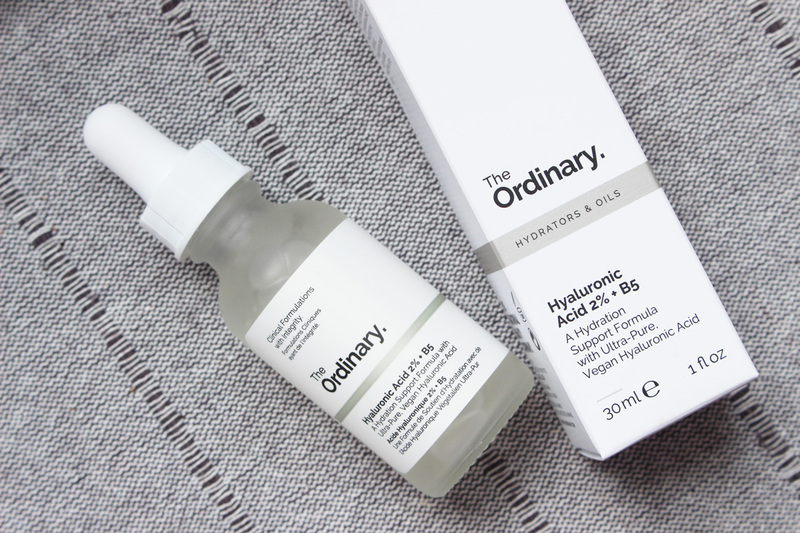 Not a detailed review, as I am not a skincare expert, but I am just going to share my thought on a few things I have tried from The Ordinary, who offer fab products at affordable prices, including blogger favourites like: Hyaluronic Acid and Glycolic Toner. And they now have a counter in Glasgow too, which is fantastic news! 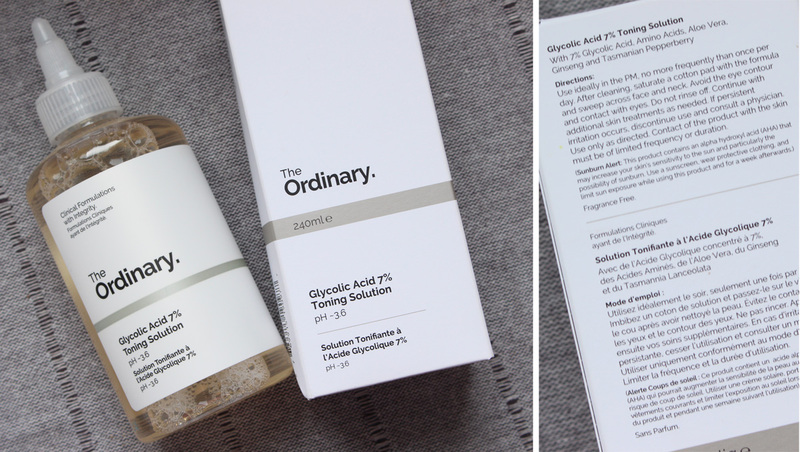 Let's start with the Glycolic Acid 7% Toning Solution*(£6.80). The days of expensive acid toners are over! Hallelujah! You can now gently exfoliates the skin, without breaking the bank and this toner will make your skin feel smoother and more refined. I use it a few times a week in the evening after cleansing. Soak a cotton pad with the formula and sweep across face and neck, avoiding eyes. Follow with a hydrating mist and your other products. Make sure to wear SPF if you use acids, as they make your skin more sensitive to the sun. My favourite out of the bunch is the Hyaluronic Acid 2% + B5*(£5.90). I always notice a huge difference in my skin when I use hyaluronic acid, so I was really pleased to have it back in my routine. It can attract up to 1,000 times its weight in water, helping the skin to hold moisture and providing multi-depth hydration. This product also contains Vitamin B5 to enhance surface hydration. I use it after my acid toner and face mist and then follow with serums, oils and moisturisers etc. Use morning and night, daily. Can't believe the price! So affordable and my skin loves it! If you're looking for a good and affordable face oil, the 100% Organic Cold Pressed Rose Hip Seed Oil* (£9.00) is the one! This formulation is rich in linoleic acid, linolenic acid and pro-vitamin A and it is proven to reduce signs of photo-ageing and many other skin conditions. As it's cold pressed, I expected it to smell unpleasant, but it's actually non offensive and doesn't smell too bad. I sometimes mix it with other oils which smell better for a more therapeutic effect. I use the oil in the evening, as the last part of my skincare routine and it makes my skin feel soft and supple. I also noticed that it helps to heal any scars and breakouts quicker. 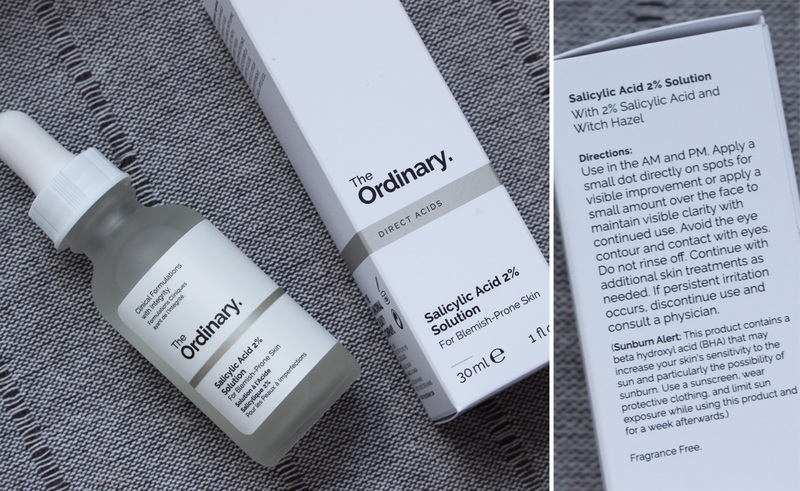 One for those struggling with spots and acne - Salicylic Acid 2% Solution*(£4.20). I still get some breakouts on my face, even after ditching all dairy products and eating 100% plant based. I tend to react to sugar as well, so I just have to watch what I am eating to avoid breakouts. Whenever I get spots, I just pop some of the Salicylic Acid directly on the affected areas and follow with the rest of my skincare. It works wonders and you need the tiniest amount of product, so you might want to get the 15ml bottle if you only get occasional breakouts. Remember to use sun protection for after using this acid. 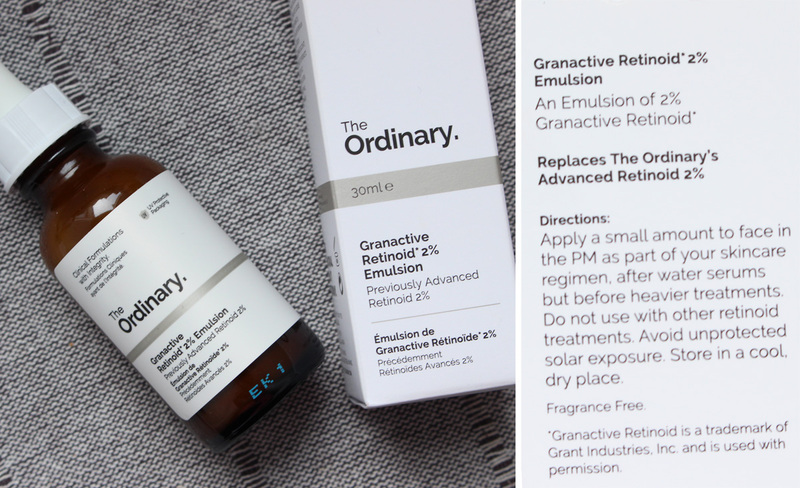 The Granactive Retinoid 2% Emulsion*(£8.00) combines two forms of next-generation retinoid actives to help reduce the signs of ageing (wrinkles, pigmentation etc). I use it on my full face, focusing on the areas I am concerned about (like my smile lines and my forehead), making sure to avoid any acids (exfoliating toner or the salicylic acid for spots) that evening to prevent my skin from freaking out. I just alternate between acids and the retinoid. At the moment, I only use it twice a week, but the next morning my skin feels amazing! I think people with a lot of fine lines would really benefit from this product. 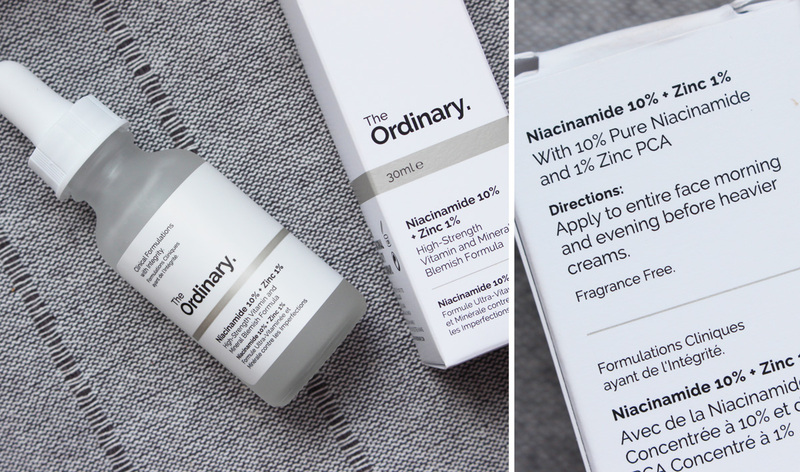 Last but not least, the Niacinamide 10% + Zinc 1%*(£5.00). Niacinamide (Vitamin B3) is indicated to reduce the appearance of skin blemishes and congestion and with the addition of zinc, it helps to balance visible aspects of sebum activity. Sometimes my skin decides to have tiny little breakouts around my nose and cheeks, as well as my chin and jaw line (usually if I had too much sugar) and that's when I pop this onto the affected area to get rid of the blemishes quicker. I don't use it often, but when I do, I always see great results. If you have oily skin, you will love it, as it really helps to reduce the sebum production. 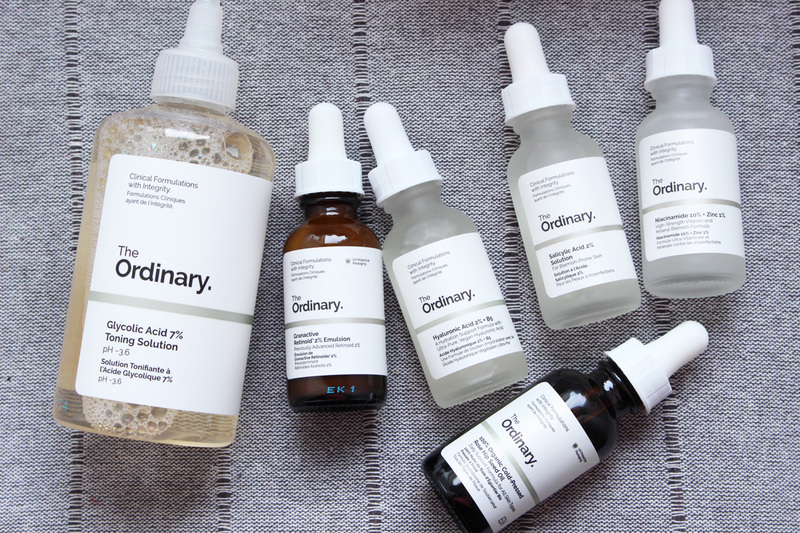 I can't recommend The Ordinary enough! 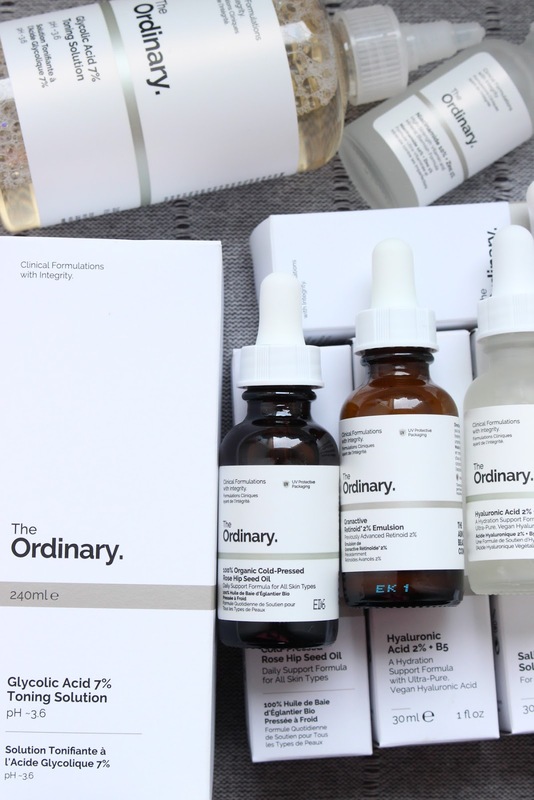 Such a great brand offering fantastic skincare on a budget! I have been using these products for a few months now and I will be repurchasing 100%, as soon as I run out. The Hyaluronic acid and the glycolic acid toner are a must in my opinion and will transform your skin, if you don't already have them in your routine. 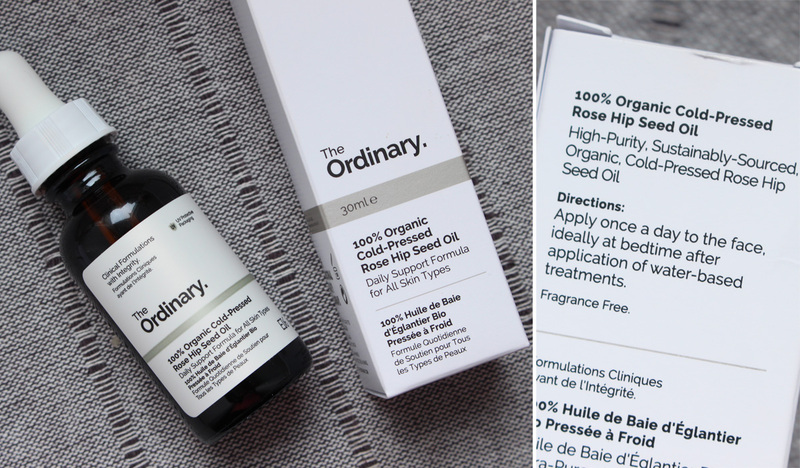 Available from www.theordinary.com, ASOS, Cult Beauty, Escentual and The Ordinary counters.